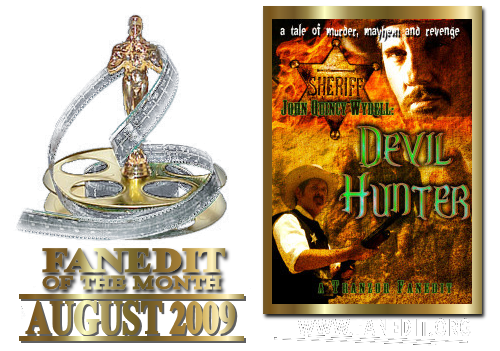 THE DEVIL’S REJECTS in a plot and pacing corrected, less over the top version. These changes make the Firefly family appear more like the monsters they should have been, while bringing out the revenge factor of Sheriff John. The film now also has the appeal of a 1970′s road movie. To remove as much of Rob Zombie’s over the top scenes as possible (as well as many scenes of ridiculous stupidity), and to correct his complete loss of plot focus. These changes included making the Firefly family appear more of the monsters they should have been, while bringing out the revenge factor of Sheriff John. I also wanted to give the film a 1970′s road movie appeal. You are now left with a 1970′s style road movie revenge film focusing on Sheriff Wydell’s desire to bring the hammer of justice down on the Firefly family. I actually liked the Devil’s Rejects. I also did not mind (well) most of his over the top madness (as Zombie usually does). However like some of his other films, a much more streamlined and darker vision is lying underneath the mayhem. In this case I wanted to bring that back and in doing so found a few more benefits that contributed to this edit overall. 1. Full length commentary track by Tranzor (hear Tranzor jump all over the place with a variety of topics and way over use of the word “redundant”). 1. Removed about 25 mins from the film. 4. New and alternate ending fitting that 1970′s odd style of closing out a film. But what i like the most of this edit is that Wydell "Wins"
Two thumbs up for this cut! my first reaction to devil rejects was a little mixed when i first saw it, i liked a house of a 1000 corpses and i guess the tonal shift in the devil rejects through me off a little. subsequent viewings however have made me see that it's more of a spin off rather than a traditional sequel. the characters from the first film feel like their in a different genre this time. the last i saw the film i felt it would benefit from having footage cut, modern grindhouse films can be a little over-long and can benefit from a shorter runtime more in line with the older grindhouse films. i watched the B/W version as this the third time i've seen this movie and wanted to experience it in a new way. it's a great new way to see the film the B/W adds a new layer of grittiness, and i 'd highly recommend anyone to see this version. the editing and audio is seamless throughout and the accompanying commentary tracks kept me entertained throughout. now my view on the ending is this, the firefly characters i felt in the original film had an epic death an almost "hero" death if you will. throughout this film and the previous film i wanted to see them die in the same way they would inflict on their victims. the original film didn't accomplish this for me the lynyrd skynyrd song and the shoot out as i mentioned was too epic and it wasn't the ending i wanted to see. many fanedits i view as alternatives to the original this however i would see as my go to version when it comes to re-viewing the devils reject. I thought this was a pretty awesome edit. Devil's Rejects is the only Rob Zombie movie I really like so I enjoyed this cut down version. 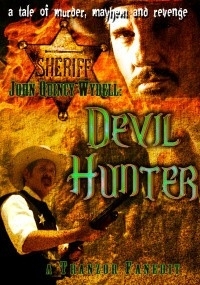 I thought the title was slightly misleading as it's still focused more on the Fireflys than on Sheriff Wydell. But everything was well edited and it played out very well. I sampled a little bit of the B&W version and it looked good from what I saw. And I listened to about a half hour of the commentary and thought that was sweet.